Do you think they just grab whatever ball looks good in the box? Do you think they just use a ball because of the marketing? Instead, they get tested and analyzed so they use the best golf ball for them. 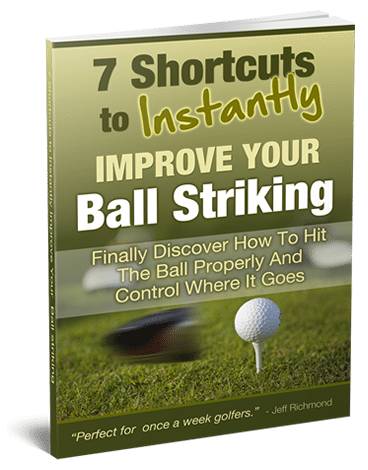 Sadly most amateur golfers will never get accurate advice on what ball they should use. And this costs them distance, accuracy, strokes, and more enjoyment from the game. But during Masters week you have a great chance to change that. Because golf ball expert Robert Cotter (who has helped some of the top golf professionals in the world) has offered to give you his personal Golf Ball Recommendations Bonus! But I must warn you. This offer with the special ball recommendation bonus is unique in the industry, and Robert may discontinue it after the Masters Tournament concludes. So go here and check this out now. So was this a golf book or tabloid fodder? Well, I was listening to a radio interview between Hank Haney and a radio announcer from New York. The radio announcer started to get stuck into Hank about how he broke an unwritten code between coach and player, and that it wasn’t a golf book because of all the extra things Hank put in the book. He then went on to call Hank ‘the scum of the earth’ for revealing personal details about Tiger. Now I can see this radio announcer’s point to a degree…and I can see Hank’s point about it being his memories of working with possibly the greatest golfer of all time. However, I’m surprized that Tiger didn’t have a nondisclosure agreement in place to prevent this type of thing from happening. Anyway, that’s a bit of background about this book and some things that have transpired after it’s release. So after reading this book, here’s my thoughts on it. Hank starts off the book talking about being with Tiger as he’s preparing for the final round of the 2010 Masters after his big fall from grace. He then provides some interesting inside information into Tiger’s attitude and work ethic, build up etc. It was fascinating to learn how much Tiger actually relies a lot on his swing coach and how he’ll blame his coach if things go wrong. It was also interesting how Tiger would only be friends with players who he didn’t see as a threat. Hank also revealed how moody and self-centered Tiger could be. Maybe all great athletes are like that and that’s what makes them great? 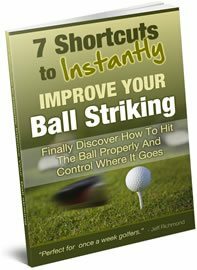 In the first chapter of the book Hank reveals his 9 ball flight practice system, in which Tiger would go through his bag and hit the 9 possible ball flights for the club he was hitting. Then he would do the same with a different club. 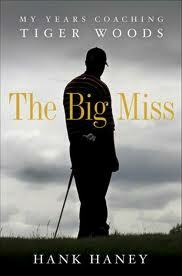 Hank then finishes the first chapter saying that Tiger is never going to be the same again after the scandal. And who can argue with that?! In the second chapter he talks about his first meeting and impression of Tiger Woods as a 17 year old. Hank raises the issue about race and how Tiger was subjected to issues of his race, which could have contributed to his reserved demeanor. Hank then goes into some background of himself and his teaching, and how it all came about that he become a teacher rather than a player. He talks about building a swing to avoid a big miss…whether that be a hook or a slice. He then talks about how he became involved with Mark O’Meara. Then Hank opens up about his problems with alcohol. It was a very open discussion. After this he talks about getting the yips with his driver and what he did to fix that. It was fascinating to learn later in the book that Hank believes that Tiger has a mild case of the yips with his driver! In the second chapter he talks about the relationship that Mark O’Meara had with Tiger Woods, and how they would both practice at the same golf club. He then goes on to talk about the swing changes Butch Harmon was making with Tiger, and how he and Butch don’t have very different swing philosophies. It was fascinating to hear how Butch wanted Tiger to maintain his swing changes, but Tiger likes to be always trying to improve. So if he heard the word “maintain” he would revolt. And that’s exactly what happened. He switched to Hank Haney to try to improve, not maintain what he had. Then Hank finishes the second chapter talking about how Tiger, after a period in 2003/2004, was coaching himself. But he decided to give Hank a go as a coach with the urging of Mark O’Meara. From chapters 3 until chapter 6 Hank talks about coaching Tiger and the main theme that runs through these chapters is how hard Hank found the communication between him and Tiger. One interesting thing on the golf side of things is that Hank wanted Tiger’s head to remain more level as he swung. Tiger worked on this, but would abandon it to the chagrin of Hank. Hank does share insights into Tiger’s personality, and his love of the Navy Seals, his excessive workouts and things like that, which is why he has been criticized for writing this book that is not always about golf. I think what Hank was trying to do was to give an insight into the person that is Tiger Woods. I found it very interesting, but nothing really came as a surprize after the aftermath of his fire hydrant accident. It would have been a surprize before that, but not now. However…I was surprized that Tiger didn’t talk about breaking Jack Nicklaus’ record, which I thought would be his driving force. It doesn’t seem to be so much that, as much as trying to improve. Another surprize (sort of) is that what Tiger would say in a press conference would often be the opposite of the truth. All in all, Hank paints Tiger as a complicated, moody, under huge pressure, lonely, driven person. In chapter 7 Hank then outlines the way it came about him quitting. In chapter 8 Hank then compares his player coach record with Butch Harmon and found that Tiger won 34 percent of his time with Hank compared to 27 percent with Butch. Well, if I was being criticized a lot I would like to see how I actually performed. It might be childish, but I bet you’d do the same thing. Hank talks about Sean Foley (Tiger’s new swing coach), and from all reports Sean was very arrogant about what he was doing (or going to do) with Tiger compared with Hank. Time will tell whether this third swing reconstruction will help or hurt. Hank made an important point near the end of the book about Tiger beating Jack Nicklaus’ major record, stating that he thinks Tiger will have to become better at coming from behind to win Majors. Tiger has never done that. He always wins by holding onto a lead. He’s never been good at coming from behind and winning. It’s going to be interesting to see how that plays out. Hank also states that if he wins a major in 2012, then he has a great shot at beating Jack’s major record. If he doesn’t then it will be very, very tough. I tend to agree with that. This year is a key year for Tiger Woods. He turns 37 and time is ticking, and he’ll feel the pressure more and more. Jack didn’t have the same pressure as Tiger because he was setting the record. Tiger has never been a come from behind player, and so that doesn’t bode well for beating Jack’s record. Not to mention Tiger’s body. He’s put it through so much, I don’t know whether it will handle it – but I digress. At the end of the book Hank wishes Tiger well. So what did I think about the book overall? It was an easy, interesting read. If Tiger hadn’t had the sandal and marriage breakup this book would have been a shock to many people. But after that happened, this book sheds a little more light on a complicated life and a complicated individual. As Hank says, he went in trying to find out what makes a great golfer and came away still not sure. There’s something truly great about Tiger as a golfer, but who knows what that is and I for one wouldn’t want his life. That’s the end of this issue. I hope you enjoyed it.